Ahh I have so much to write about for the Ft. Worth hunter jumper show! Week long shows gives one a lot of material to write about. 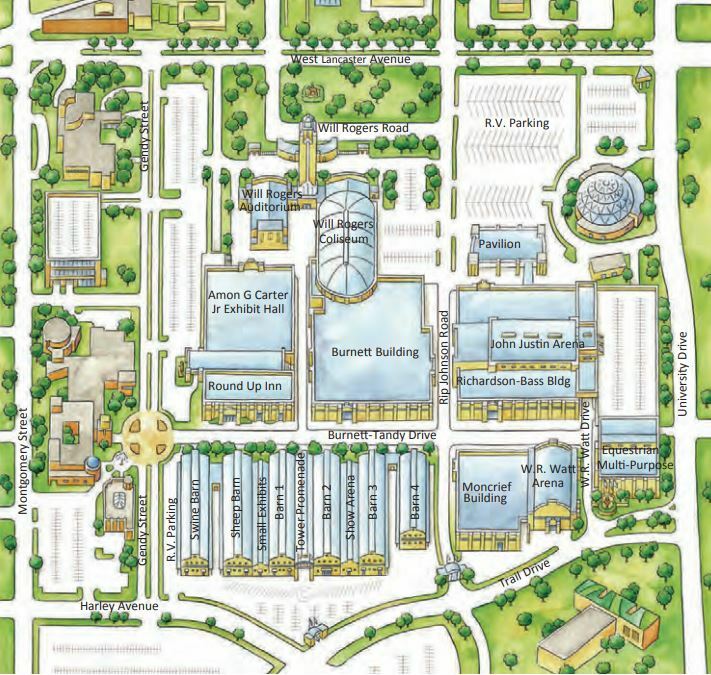 In this post I’m going to focus on the venue (Will Rogers Memorial Center) and the experience from the competitor’s point of view. This show was the first hunter/jumper show in Ft. Worth in recent memory (over 20 years). Put on by Patrick Rhodes (Southbound Show Management) partnered with Erin Davis-Heineking (see my pre-show interview with Erin here), all the competitors were very excited to check out the “new” venue. I had showed at Will Rogers Memorial Center many times during my early junior years at Arabian breed shows, so for me this show was a bit of a homecoming. It has been 17 years since I last showed there, and if I am being truly honest, I teared up a bit when I first got there. So many GREAT memories were made there, so long ago. I couldn’t have been happier to be back. I was worried I wouldn’t remember my way around (I was 13 when I last showed there), but everything came right back! For those that have never been, the venue can be quite confusing. 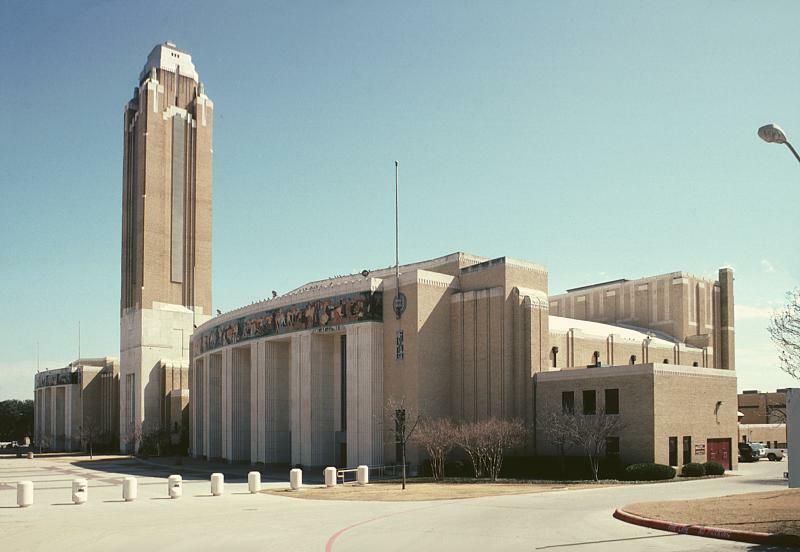 In short, there are 3 indoor arenas that are air conditioned (the Coliseum, the John Justin, and the Watt) but the names on the outside of the buildings that house the different arenas are different then the names of the arenas within. This is very confusing for new comers!! For example, the Watt arena is housed inside the Moncrief building. The 3 rings are in separate buildings, so you have to go outside and cross a street to get from one to another. Not super horse friendly, especially if it were to rain, right? Never fear though! All the different buildings (and thus arenas) are connected by an under ground tunnel system. Although it again can be hard to navigate for newcomers, it’s actually super awesome and handy. You can even ride in the tunnels to get where you need to go (even I could ride Rio with only the occasional ducking down). The tunnels are also connected to the AC’ed arenas so they are nice and cool. Outside of the 3 indoor arenas with AC, there was the Pavillion and the Multi-purpose ring. The Pavillion is outside but under a cover; it appears to typically be a parking lot. They had brought in dirt and panels to create a ring. Although that may sound kind of janky, it was actually just fine. A storm threatened to blow in on Friday late afternoon and brought a huge drop in temps and a super nice breeze. It was actually almost cool when I showed Friday evening in the Pavillion. The Multi-purpose ring was technically indoors, but it didn’t have the same super cold AC as the 3 traditional indoor rings. I do not remember this ring being here from my Arabian days, so I assume it is new, or newly re-purposed as an arena. IMO, it was the “worst” ring to ride in, as it was the smallest (96 x 205 ft) and has the poorest seating (basically none). I would have been bummed to have a large group come watch me and really not have a good seat. What few chairs there were were not on any sort of raised platform, so it was also difficult to video people’s rounds from a good perspective. When I was young I never thought the rings were small, in fact I considered them quite big. I realized though, that once filled with jumps, they aren’t huge. I heard lots of comments from competitors about the smaller sized rings, but I honestly think they were fine. It definitely meant the jumpers had to be a bit handier, and that the hunters didn’t have all the time in the world to get a clean change, but I felt fine in my ring (The Pavilion- 128 X 250), which was basically the same size as the main jumper ring and the Coliseum. I have no complaints about the footing, it rode well in my opinion. The warm-ups were TIGHT for sure, so people started getting creative and riding in different warm-ups that were further away from their actual ring. For example, you could use the warm-up at the Coliseum then head over to the Pavilion for your Adult Ammy hunter ride. Lots of people were also using the Multi-purpose ring warm-up, which was the largest of the bunch, and then heading to their respective show rings. The stabling was actually set up in a parking garage. I am still super unclear why they did this- as there is plenty of permanent stabling in the buildings that house the indoor rings. I asked a few people, but no one seemed to know why. If you know, please comment! Both the permanent stalls and the temporary ones in the parking garage are 10 x 10 ft, and both are on concrete. If anything, the permanent stalls seemed cooler in my opinion, as you would get a bit of the AC flowing out into them. 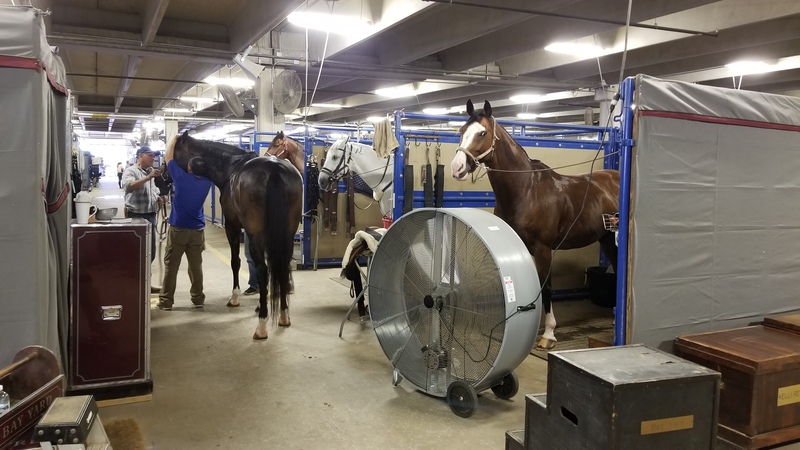 The stabling area (in the parking garage) was HOT and HUMID. SO HOT. The AC rings were AWESOME though. You could sit and watch the National Derby that started at 2 pm in total comfort. A little hot after your division? Head over to the jumper ring and cool down super fast. The stadium seating gave everyone a great view, and really made watching fun and enjoyable. When you got hungry there was a terrific competitors lounge that provided awesome free food and snacks. One afternoon they had a full on potato bar with all the topping including brisket. There were also several concession stands open that has freaking delish fries and great burgers (from what I hear, I’m vegetarian so I didn’t personally try the burgers). There was also a full on Starbucks in the John Justin arena- you can’t hate that. You had to pay for parking which was semi annoying- but they did offer a discounted rate of $5 a day for the show. I brought my golf cart the first day, and they made me pay the “day haul” rate of $15 which is found extremely annoying. I literally was dropping off the golf cart for the week and taking the tiny flat bed type trailer home with me. At the end of the day- will I be coming to back to show here again? HELL YES. I loved it!!! Not everything was perfect, but I am sure that the bumps will be smoothed out next time, and I will absolutely be returning to show in Ft. Worth again! There is so much more I could write, but this post is long enough! If you have a specific question about the show please comment, and I will answer to the best of my ability! 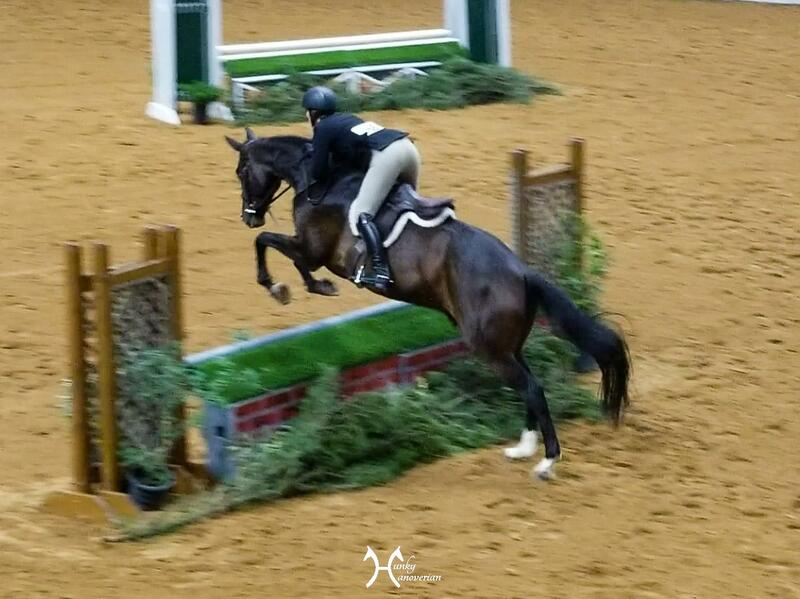 Check back tomorrow for a recap on how the 3ft green division went with Rio and one of my trainers! “The stabling situation was due to the Arabian Regionals going on all this week. They rented all the other stalls and the Coliseum beginning on Sunday. That’s why there were no classes in there on Sunday. Patrick said they are planning to put in their requests for dates sooner this time so it doesn’t happen next year. We lucked out and were stabled in A barn, right next to the garage entrance doorway. We probably had the coolest stalls there. Thankfully” -Renee A. 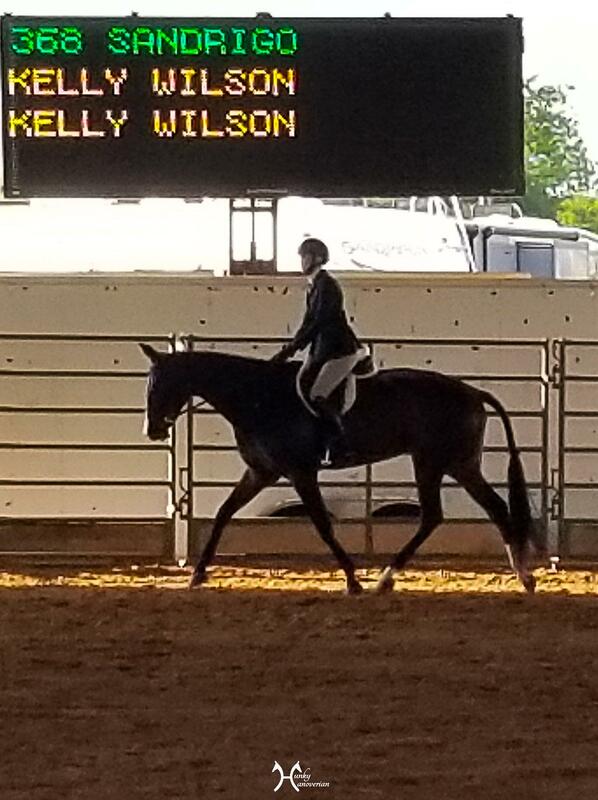 “The reason we were in the stalls under the Multi-purpose ring and parking lot was because of the shows that were at the WR before and after us. I’m 89% sure that (if it happens again) we will be stabled next to the John Justin and Coliseum rings next year. The Barn A stalls where I was stabled were MUCH cooler than Barn B. I last showed at the WRC in 1998 and was stabled next to the John Justin ring (it was the AQHYA World Championship show. I showed in reining) and they weren’t terribly hot in August. Erin worked SO hard leading up to and the week of the show. She got the fans that were in the aisle of Barn B. She did her best to make the stabling comfortable and fly-free. I LOVED the show and can’t wait to go back! The Multi-Purpose ring and stabling underneath were built about 5-7 years ago. I think they are usually used as warmup rings for the other shows (that are generally more western) and not really intended to be used as show rings, hence the lack of spectator seating. 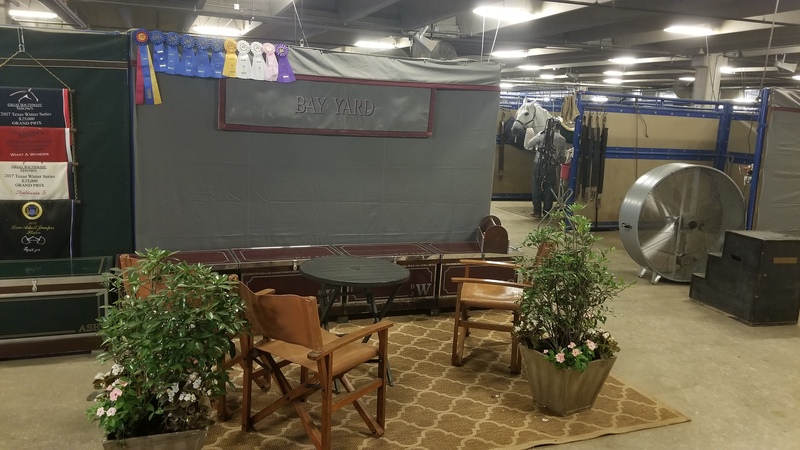 I have a feeling the property wanted to charge too much to use the stabling, and it was probably more economical for the show to bring in their own stalls. Probably the same issue with the parking fees. That’s really annoying about the golf cart charge! Patrick runs the Skidmore show up here and he really does a great job in my opinion. And he’s a super nice guy. I can’t wait to hear how the show went for you! The parking fees are mandated by the City. The only way an event’s attendees can “get out” of paying them is if the event pays for parking, which would then most likely pass on the costs to the exhibitors by way of fees or something. No shows bring in their own stalls for any event at WRMC. The only time that the A & B barns are actually a parking garage is during the Stock Show. Thanks Kelsie- that’s good to know! The reason we were in the stalls under the Multi-purpose ring and parking lot was because of the shows that were at the WR before and after us. I’m 89% sure that (if it happens again) we will be stabled next to the John Justin and Coliseum rings next year. The Barn A stalls where I was stabled were MUCH cooler than Barn B. I last showed at the WRC in 1998 and was stabled next to the John Justin ring (it was the AQHYA World Championship show. I showed in reining) and they weren’t terribly hot in August. Tara- thank you so much for the info!! Erin did an AMAZING job, and I thought the show was fantastic. The stabling “issue” absolutely makes sense now that I know the reasoning. The fans made it at least bearable, it would have been a nightmare without them. Looking forward to next year and the stabling being near the main rings!! Cool venue! But yes the stabling sounds less then ideal.